Although conventional laser coagulation of drusen in age-related macular degeneration (AMD) results in their regression, it does not, according to current knowledge, reduce the risk of AMD progression and should therefore not be performed. Newer “micropulse” and/or “subthreshold laser techniques” are still undergoing clinical trials for early and intermediate dry AMD (in the absence of geographic atrophy). 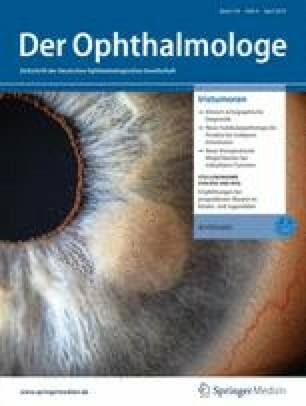 There is currently insufficient scientific evidence to conclusively assess the efficacy of these techniques in AMD. At present, no form of retinal laser treatment for dry AMD should be performed outside of clinical trials. The German version of these articles can be found under https://doi.org/10.1007/s00347-017-0574-z and https://doi.org/10.1007/s00347-018-0834-6. See Table 1 in the Appendix. Holz, Prof. Dr. med. Frank G.